When it comes to saving money and energy around your home, your monthly electric bill is one of the best places to start. After all, it can provide you with a wealth of information like your usage habits and your current energy rates. However, these monthly billing statements can be a tad bit tricky when it comes to reading and interpreting the information. To help you better understand your monthly electric bill we’ve come up with the following guide. Current Charges – This section of your bill will show your current account balance, or how much you owe to your utility company and when that amount is due. The way your utility company determines this amount is by taking two readings of your electric meter. One at the start of the billing period and one at the end. 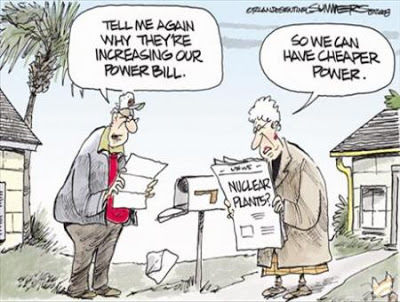 They then take the difference between these two amounts and multiply it by the current energy rate. Billing Period – This part of your bills explains when your energy company takes both the first and second readings of your electric meter each month. The dates for these readings should be roughly the same each month, though there does tend to be a little variation. Energy Rate(s) – This part of your bill will show you what your current energy rate(s) are. Depending on where you live your energy company may have what are known as peak and non-peak hours. Generally speaking, the price per kWh will be cheaper during the non-peak hours than during the peak hours. This is because the energy utilities grid is being less taxed during the non-peak hours, and they’ll charge a lesser rate to their customers in order to encourage the use of electricity during that time. If your utility employs this type of pricing structure (often referred to as time of use pricing), you may be able to cut your utility bill quite a bit by adjusting some habits–running laundry or other appliances at night, and avoiding using energy during peak demand times (typically right after the 9-5 work day when a lot of people get home and start cooking, playing video games, and the like). Average Monthly or Daily Usage – This part of your billing statement will demonstrate what your average energy use is and this is typically done as either a monthly or daily average. It’s this section of your bill where you’ll gain the greatest insight into your energy usage habits. Generally speaking, energy bills are higher in the winter and lower in the summer. Take a look at your latest billing statement, which months tend to be the most expensive for you and your household? Do they coincide with using more AC or turning up the heat on your thermostat? The answer to these and similar questions should help you come up with a few areas where you can find ways to save energy. Miscellaneous Charges – Every utility company is different and will have their own unique set of miscellaneous charges on their monthly billing statements. If you have any questions regarding what a charge is and why it’s appearing on your monthly electric bill, give your local utility a call. If you’re looking for ways to save money on your monthly electric bill, try installing a water efficient shower head. Also, be sure to check out our green home improvement projects: Green Living Ideas, after all, is a top 20 home improvement website! Photo courtesy of Soda Head.